Have you heard about acai bowls? It's basically a thick smoothie served in a bowl and topped with fresh fruit, granola, coconut, or other super foods. 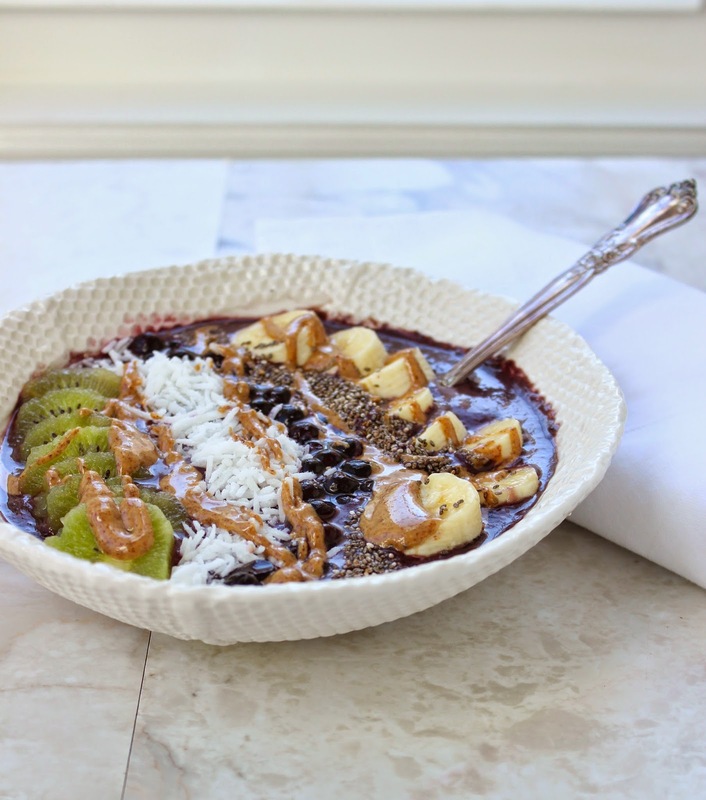 Acai bowls started in Brazil, where the acai berry is grown. Over the last few years, they've migrated north and are now popular in Hawaii and Southern California. They're colorful and beautiful and therefore have grown widely popular over instagram. While I don't necessarily love the idea of eating beautiful food just so you can post it to instagram, I do believe in beautiful food. Growing up, we often had fruit salad with dinner. My sister, ever the artist, would create the most beautifully arranged fruit salads. Yes, it took time, and yes, it didn't make the fruit taste any different, but it made the average weeknight dinner a little more special. Adam and I gave up sweets for Lent, and as a result, we've been eating a lot more fruit. This acai bowl is delicious as a healthy dessert or for breakfast when topped with granola. You can find the frozen acai packets at Whole Foods and other specialty grocery stores. Though I loved this acai bowl, I can't say that my grad school grocery budget will allow this to be a regular occurrence. In the future, I'll probably substitute the frozen acai berries with frozen blueberries or blackberries. Either way, it's a fun way to mix up your smoothie game, enjoy pretty food, and get some major vitamins and antioxidants! Add frozen acai packet, almond milk, date, and vanilla extract to food processor. (If you don't have a high-powered food processor, you may need to chop up the acai packet into smaller pieces or let thaw slightly) Pulse until smooth. Pour into a bowl. Add toppings and enjoy! Serves 1. Can be easily doubled. I'm making a bold statement today. I just made the best.french.toast.ever. 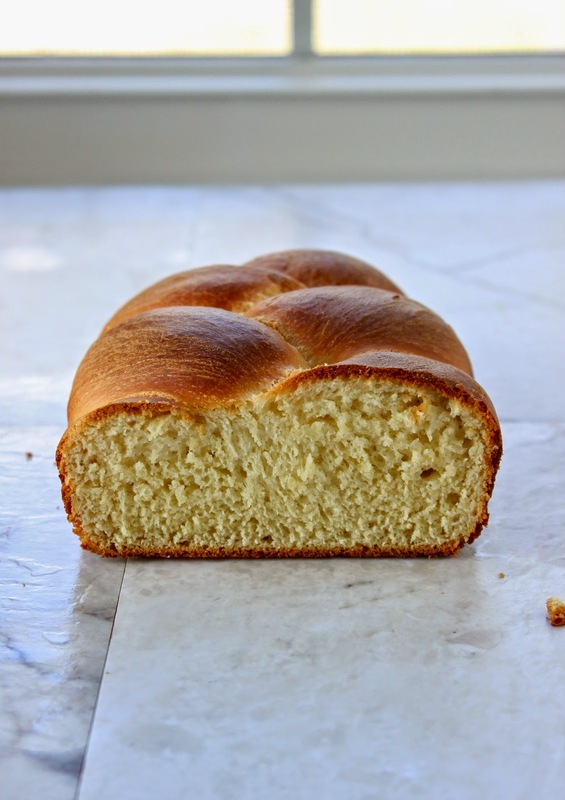 This orange blossom brioche may be good when served warm with honey or jam, but its purpose in life is to be drenched in milk, eggs, cinnamon, and vanilla and pan fried to crispy custardy french toast perfection. 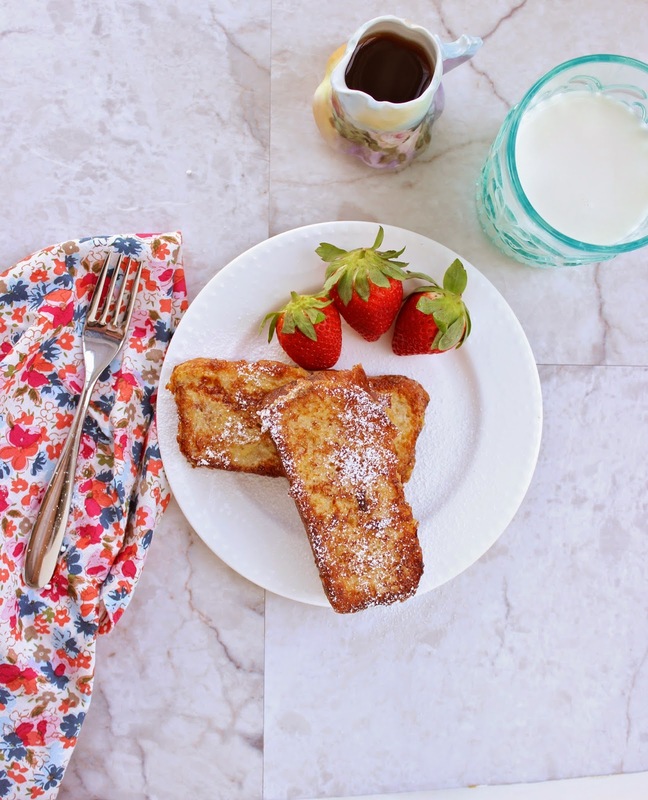 I love pancakes and waffles, but french toast is my favorite indulgent breakfast. I have fond memories of my grandma making it for me when I was little. I took Molly's recommendation and cooked this orange blossom brioche french toast in hot oil instead of butter, and I'm so glad I did. 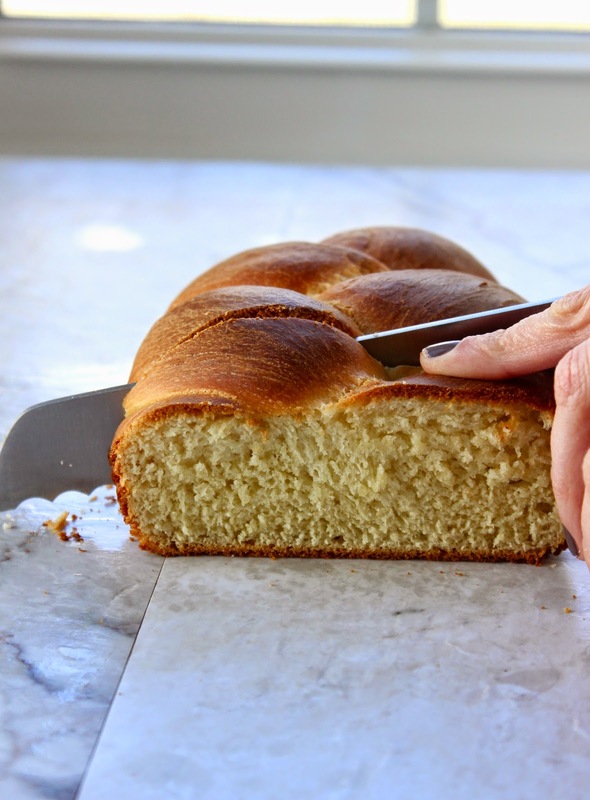 The brioche already has plenty of butter flavor, and cooking the french toast in hot oil allows the outside edges to get crispy and brown while the inside, according to Molly "melts to a near custard." As you'll notice, I made this amazing french toast with the same small slices of brioche as last week. I made the recipe a second time (including the twenty minutes of kneading by hand!) and it still didn't rise as much as I hoped. BUT, I've decided that's ok, because the taste and texture of this bread is perfect, and I think the little french toast slices are cute. 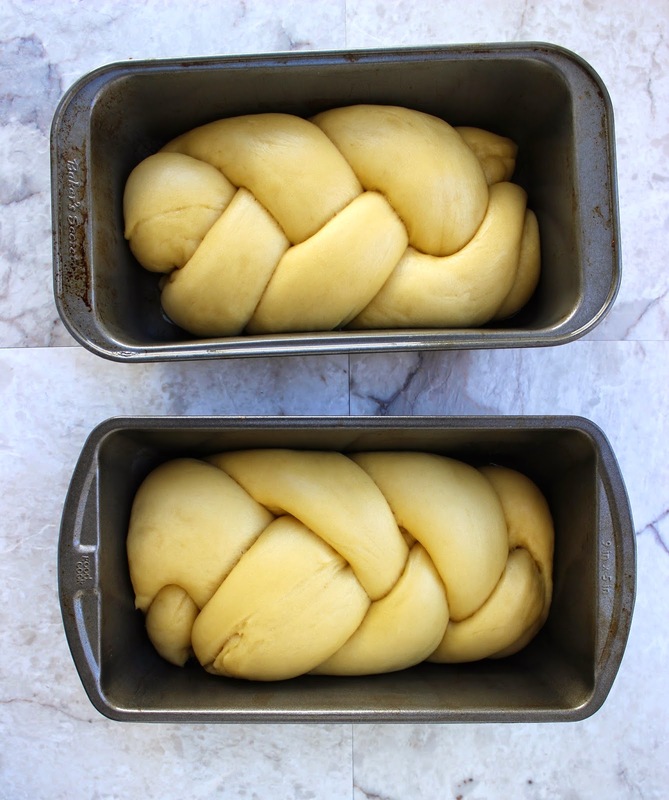 If you really want a larger loaf, just make one loaf instead of two. I know I'm asking a lot here--first for you to make a difficult bread by hand and then, a few days, later, to make french toast with it. 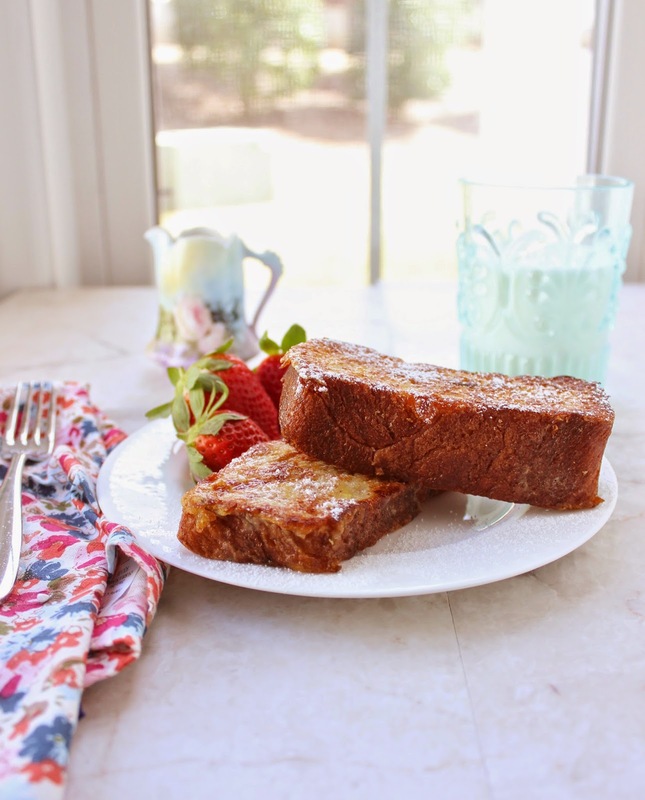 However, as soon as you take a bite of this orange blossom brioche french toast, I think you will understand. This is the kind of thing you make when you have friends/relatives coming into town, or you're throwing a brunch party, or you just want to make a really special breakfast for someone you love. So often my life seems to be about trying to do things as quickly and efficiently as possible, but sometimes it feels good to take the time to make something worth waiting for. Preheat oven to 200. Line a large plate with paper towels or kitchen cloths and place in the oven. In a large shallow dish, combine eggs, milk, cinnamon, salt and vanilla extract. Place a large saucepan over medium heat. Add canola oil, just to cover the bottom of the pan. Add bread to the egg mixture, a couple slices at a time. Let sit on each side for about a minute. Add slices to the pan. Cook for about 2 minutes on each side or until golden brown. When a slice is done, transfer it to the paper towel lined plate waiting in the warm oven. Serve the finished slices with sifted powdered sugar and maple syrup. Adam and I love Sunday afternoon adventures. Sometimes we grab lunch and go have a picnic at Jordan Lake. Other times we just drive around the country roads nearby, exploring. Last Sunday after church, on a whim, we drove to the cute nearby town of Pittsboro. A quick yelp search brought us to Small B & B Cafe for brunch. It was fantastic. I had some of the best scrambled eggs I've ever had, (with local veggies and cheese) and Adam had THE most amazing french toast made with orange blossom brioche bread. 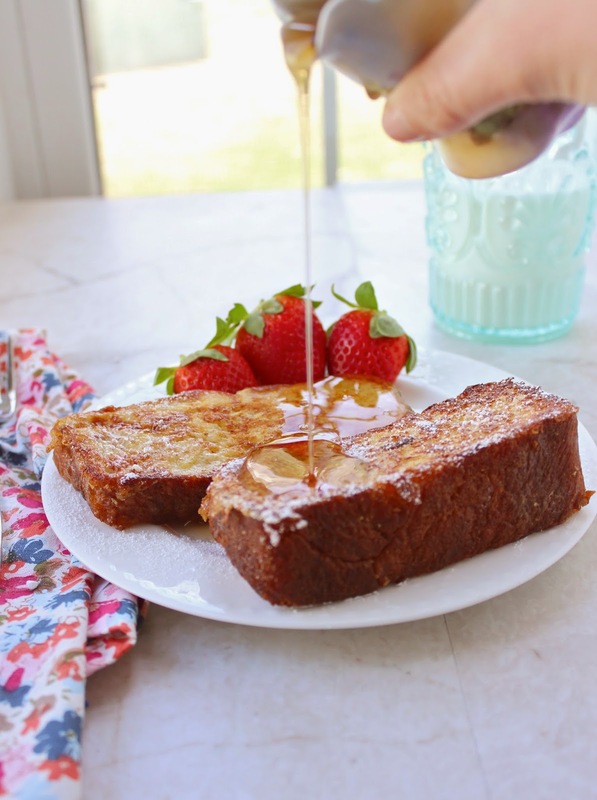 Ya'll, this french toast is life-changing. 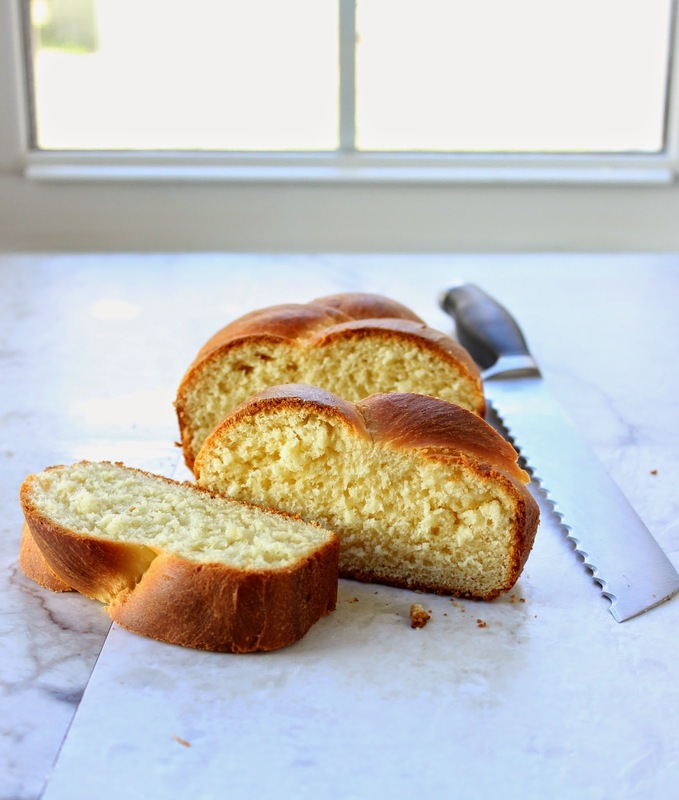 As soon as I've mastered this orange blossom brioche recipe, I am going to make some for you. The secret to the french toast, of course, is the bread. 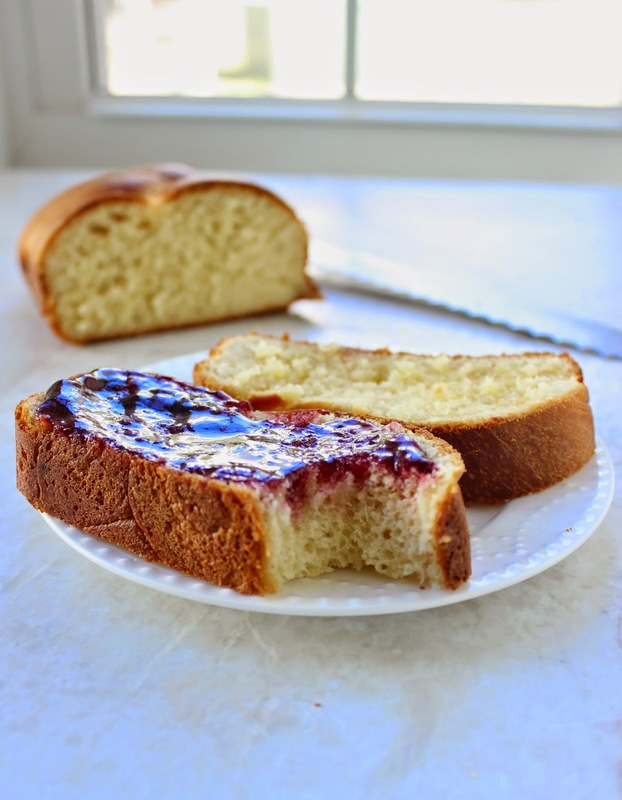 Brioche is a rich French pastry bread, made with more eggs and butter than a traditional baguette. 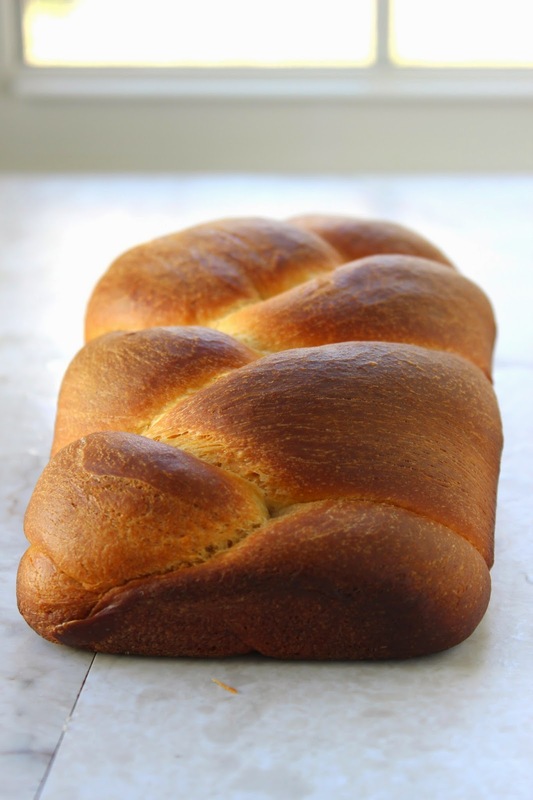 This particular brioche is special because it's made with orange blossom water. Orange blossom water is made from the distillation of bitter orange blossoms. It's typically used in mediterranean dishes, and it's not yet popular in the United States. However, like most things, you can conveniently buy it on Amazon for $7.00. If you were to smell orange blossom water straight out of the jar, it might put you off. It has a VERY strong floral scent. Adam said it smells like an old lady's perfume, which is not entirely inaccurate. Once the orange blossom water is incorporated into dough and baked, however, it takes on a subtle, unique smell and flavor. I'm not finding the words to adequately describe it, but trust me, it's special. 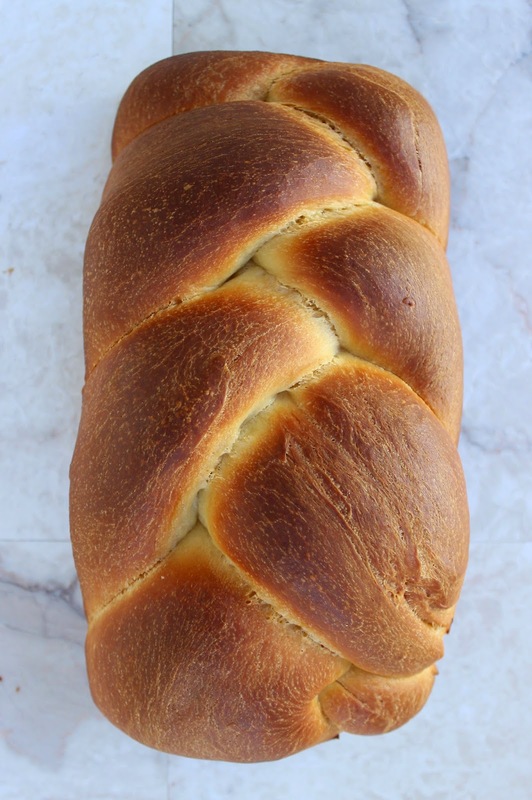 Brioche is traditionally a complicated bread to make, but I was determined to make it happen. Eventually I settled on this recipe, which, though it looked fairly simple, warned that a Kitchenaid mixer or bread machine was recommended for the kneading step. Well, I have neither a Kitchenaid mixer nor a bread machine, so I kneaded the dough by hand. For twenty minutes straight. It was actually quite cathartic. I brought my laptop into the kitchen, watched the first 20 minutes of House of Cards, and kneaded the bread. My wrists were a little sore at the end, but it was totally worth it. Like most bread recipes, this one is a labor of love, and requires that the dough be refrigerated overnight and then left to rise for 3-4 hours the next morning. As you can probably tell from the photos, my first loaves turned out a little flat. They didn't rise as much as I had hoped--however, I'm sharing the recipe with you today because it still tastes delicious. The inside is chewy and soft and the outside has just the right amount of crunch. We've been eating thick slices smeared with jam or drizzled with honey. Also, I'm on spring break this week, which, luckily for you, means I have more time to spend baking and recipe tweaking. If all goes well, I'll be back later this week with more bread rising tips and some french toast. Stay tuned! In a large mixing bowl, combine warm water, orange blossom water, and yeast. Let mixture sit for a minute or so, then add remaining ingredients. If you have a kitchen aid mixer, attach the dough hook and let mixture knead for 20 minutes. If you have a bread machine, add dough and set to the knead setting for 20 minutes. Otherwise, bring on the elbow grease and knead the dough by hand for 20 minutes. It will should smooth and fragrant when you're finished. Spray another medium-bowl with non-stick cooking spray. Add dough and cover with plastic wrap. Let dough rise in a warm area for about an hour, then place the dough in the fridge overnight. Let the dough rise for 3-4 hours. (If you let the loaves rise in the oven, remove them) Bake at 350 for 10-15 minutes. Remove and cover with aluminum foil. Bake for another 20-25 minutes. Loaves are done when golden brown and hollow when tapped. 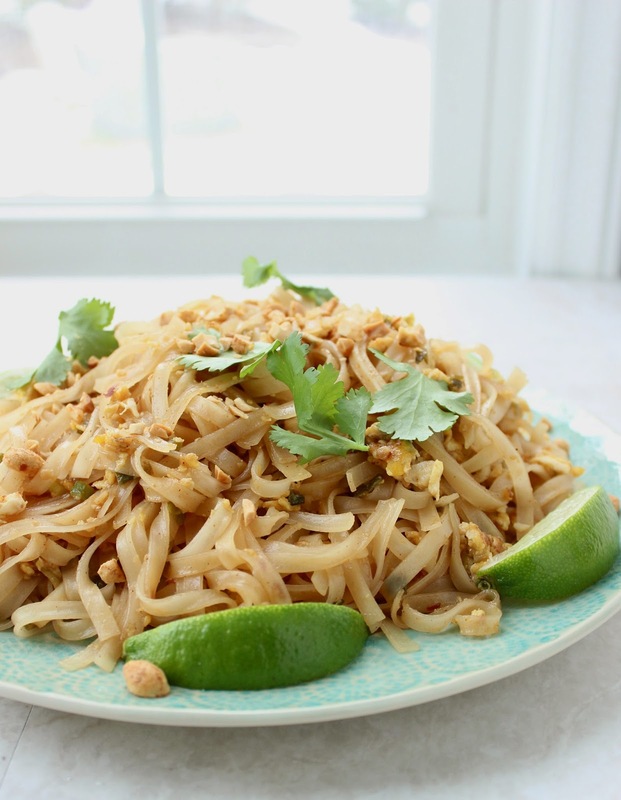 Let's have a pad thai party! Or, invite friends that you're trying to get to know better. This is going to be an interactive dinner party, so when people arrive, you're going to ask them to chop some peanuts or stir the shrimp, or taste the sauce. 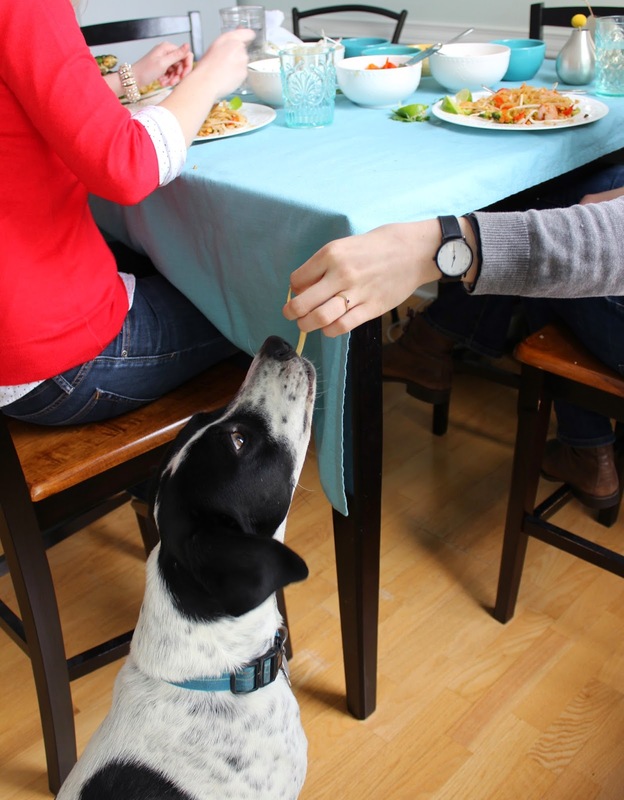 It removes any initial dinner-party-awkardness and they'll have fun. There are a lot of moving parts here, but that's ok because you have help. Have a drink while you stir the tofu and talk about the noodle variations that you love. This is the kind of dinner party that will please anyone. The rice noodles are tossed with savory pad thai sauce, eggs, garlic, and green onions. Everything else is cooked and plated separately. We sautéed shrimp, tofu, broccoli & red pepper and prepared easy pickled radishes, bean sprouts, cilantro, chopped roasted peanuts, lime wedges and red chili sauce for toppings. Your guests will be so pumped when they learn they get to make their own pad thai party combinations. I'm telling you, everyone will go crazy for these noodles. I've been in a bit of a funk lately with my food photos. The sun shines so infrequently in the winter and nothing seems to turn out as beautifully as I'd like it to, but I think what's really missing in my food photos is people. A professional food photo may be flawless and stunning and artistic, but it's shot in a light box with reflector boards and a flash and lots of equipment. 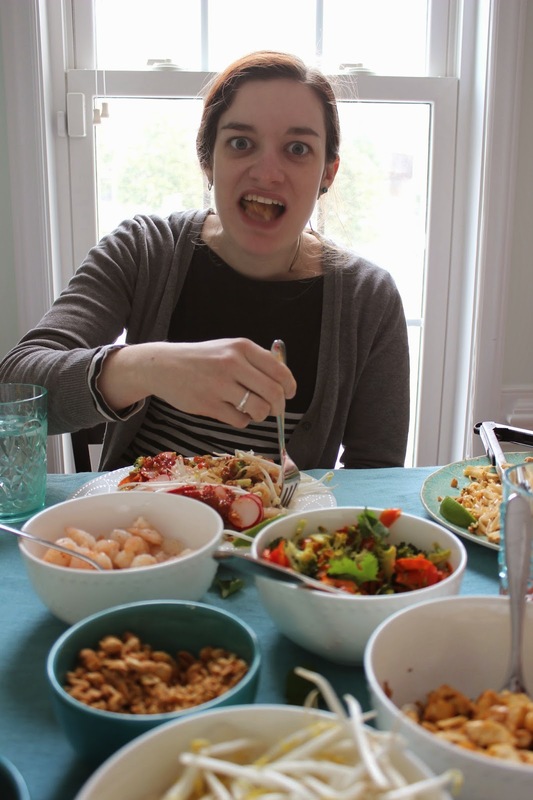 A real food photo features real people enjoying real food. I'm trying to remember this when I slip into the tendency to compare my food photos to others, or to compare my life to the "perfect" images I see while scrolling through instagram. 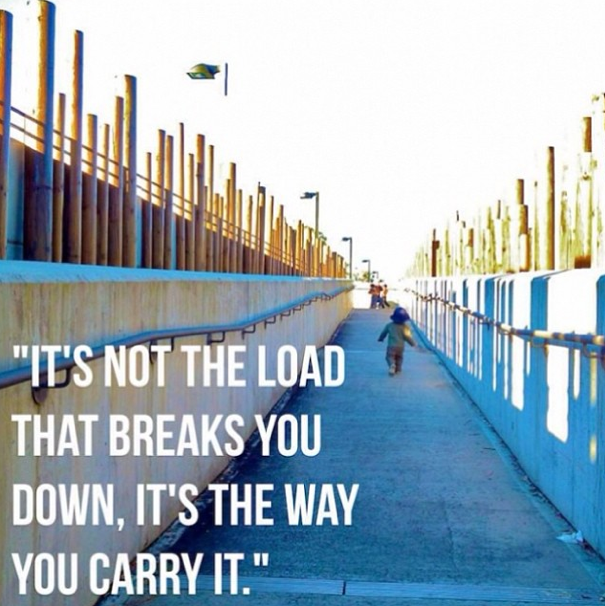 Images may be beautiful and powerful, but they don't necessarily equal a beautiful life. A beautiful life is one filled with people that you care about. 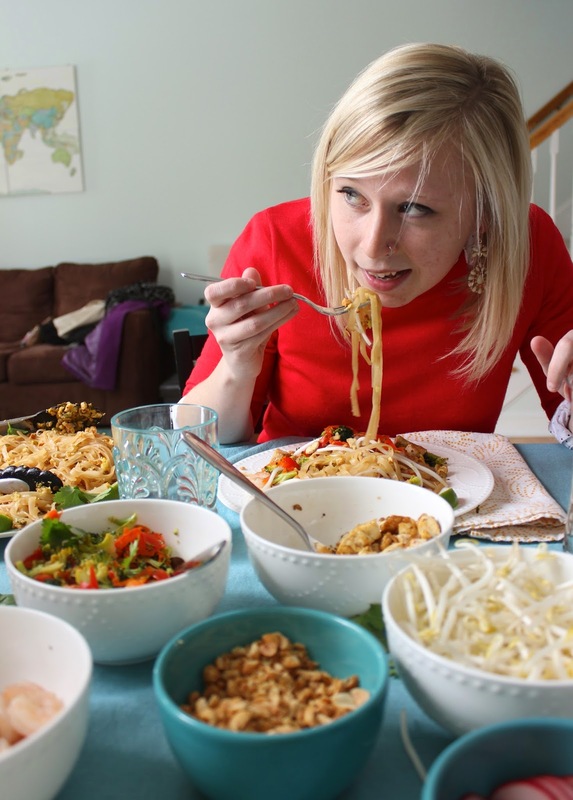 Throwing a pad thai party for your people might be a good place to start. Prepare rice noodles according to package directions. Most types will require soaking the noodles in hot water for 10-25 minutes. Drain as soon as noodles are starting to soften. Add another tablespoon or two of peanut oil to the pan, followed by the tofu. Cook for 7-8 minutes or until browned on all sides. Remove from pan and set aside to keep warm. If needed, add a little more peanut oil, followed by the broccoli and red pepper. Cook for 4-5 minutes or until broccoli reaches your desired texture. Remove from pan and set aside to keep warm. In a small saucepan, combine tamarind paste, fish sauce, honey and rice vinegar. Bring to a boil, and then reduce heat to low, stirring occasionally. Meanwhile, add another tablespoon of peanut oil to the saucepan. Add green onions and garlic. Cook for 2 minutes, then crack the eggs into the pan and stir around until just cooked. Add noodles and sauce to the pan. Stir to combine and cook for another couple minutes. Taste and adjust seasoning as needed. Set out the noodles, along with the tofu, shrimp, vegetables and other toppings. Dig in! *I had a difficult time finding tamarind paste. Your regular grocery store may have it, but if not, try a specialty grocery store or asian market. Tamarind provides a sour flavor. In a pinch, substitute with a mixture of equal parts lime juice and brown sugar. **To make the pickled radishes, add radishes to a couple tablespoons rice vinegar and 1/2 tablespoon sugar. Set aside for thirty minutes. This recipe will serve 6-7 hungry people. 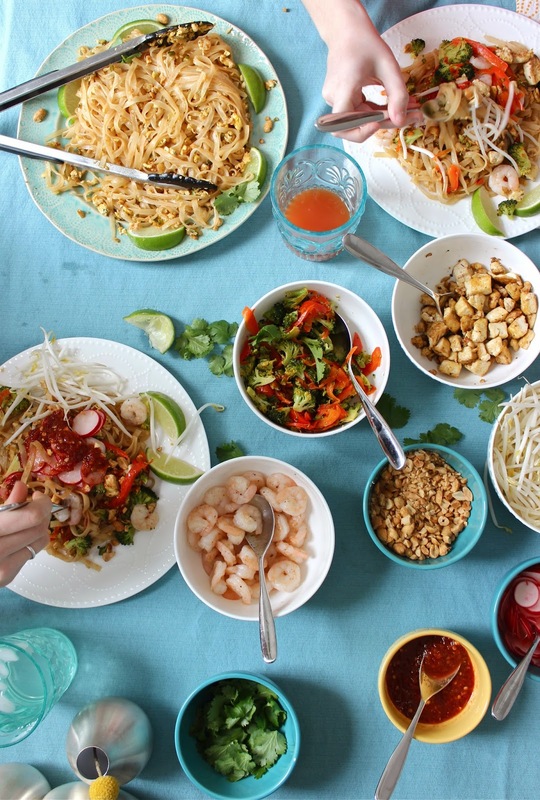 These recipe directions are for a pad thai party, with most of the components made and served separately. However, if you're just cooking for your family or non-picky eaters, you can cook the tofu, shrimp, and veggies together. This recipe is gluten-free, so long as your fish-sauce is gluten-free. Check the label. Inspired by Mark Bittman and Bon Appetit.